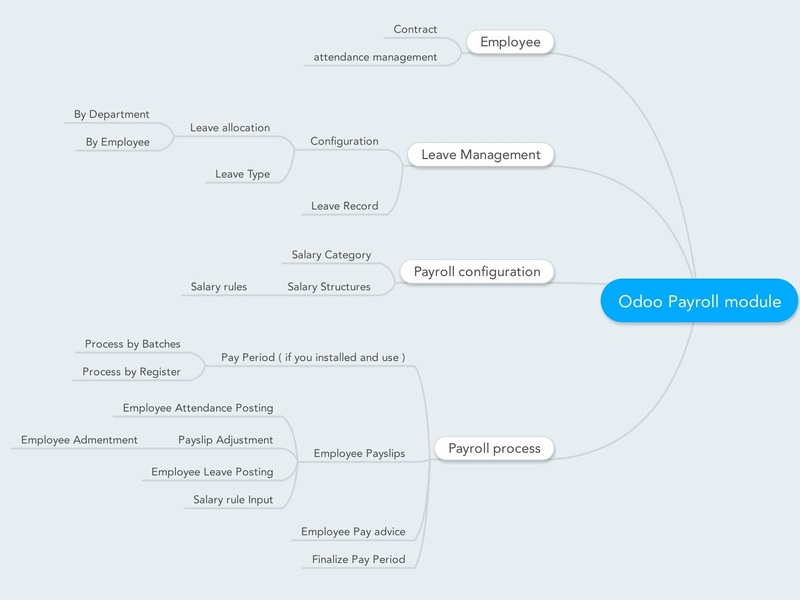 Welcome to the first series of Odoo Payroll tutorial , i will be sharing about my experiences in using Odoo Payroll module , and please feel free to give your valuable input and feedback to this documents so that it can help other to leverage on this powerful platform for your payroll process in handling your growing human resources requirement , you do not have to purchase a different payroll application anymore. 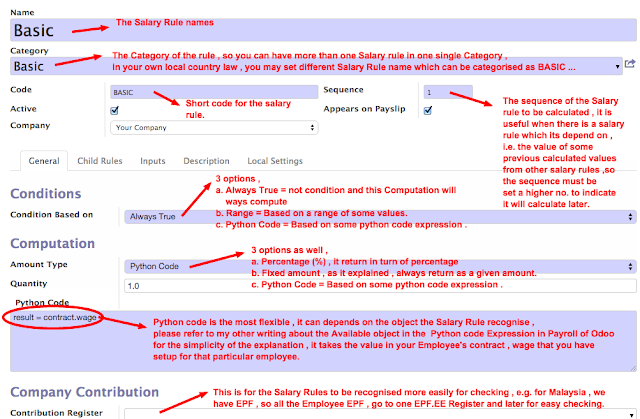 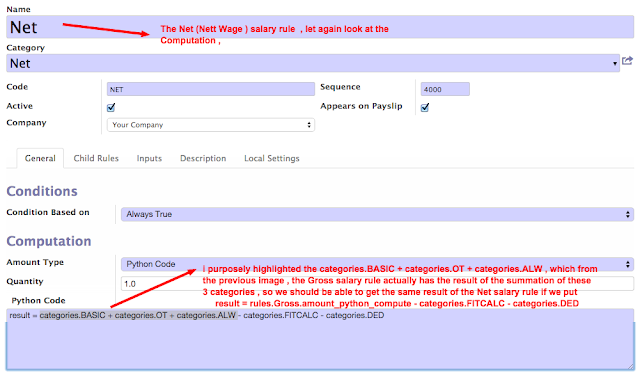 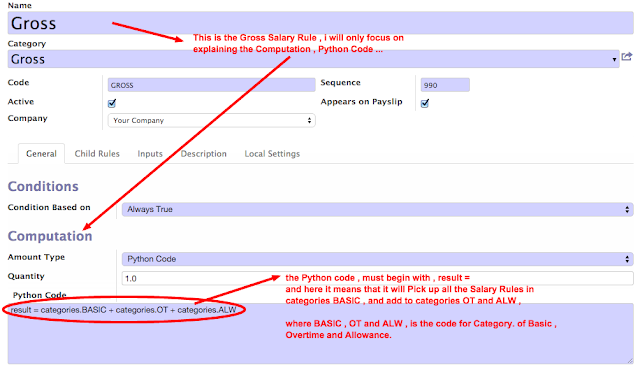 Before we can start using Odoo Payroll , we need to configure it , the most important configuration lies in the Salary Rules . 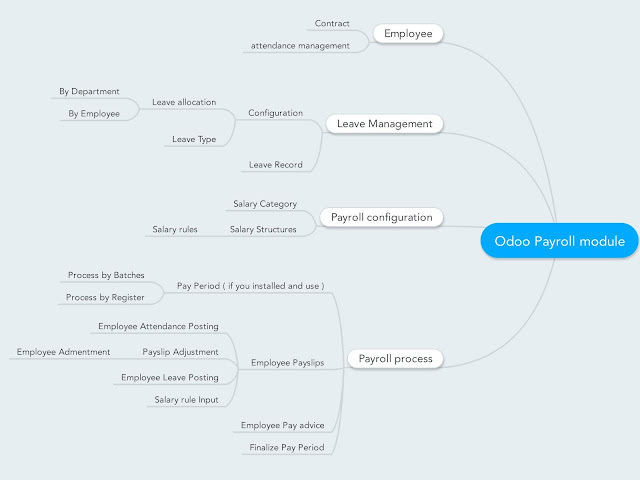 stay tune ... to be continued ... happy odooing !